It is such a tragic and painful truth when you found out that one of your closest immediate relative is diagnosed with cancer, most especially if it is your child, who is very young to be in the situation. It is heartbreaking to see them suffer and be in pain while hospitalized. Nobody can escape the reality that anybody can be a victim of this deadly illness. Whoever you are and whatever status you may have in life, this situation is a really big challenge that you have to deal with. The family in its prime role has to be strong and offer strength to their child to be stable and acquire a strong will to fight on his or her own. There is a power to aim for a positive, fighting spirit. The mental effort is really the starting point in the mind, when the child understands that she or he doesn’t have to be weak and that she can actually have the power to fight the illness, it absolutely helps them recover. 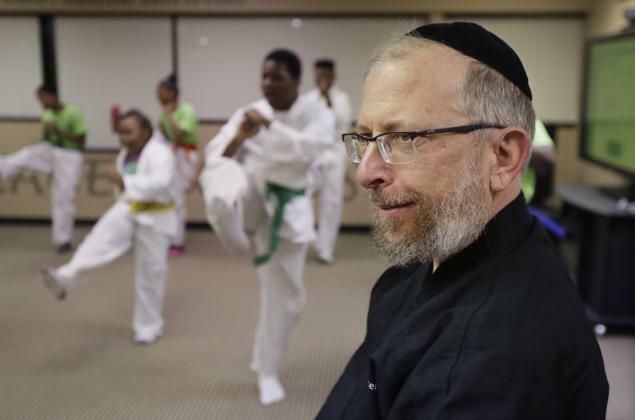 A nationwide program based in Southfield, MI, just northwest of Detroit was founded by Rabbi Elimelech Goldberg, who is a black belt in martial arts. He teaches martial arts to kids with cancer free of charge. The project, Kids Kicking Cancer, is very close to his heart, as he also experienced the loss of his daughter who suffered from Leukemia when she was only 2 years old. These kids definitely are enjoying the entire class that causes them to forget about their illness.